If you are a smartphone user, irrespective of iOS or Android, you must have heard about this app called Truecaller. Yes, the app which shows the name of the caller even if it’s not saved as a contact on your smartphone. Well, the Truecaller app for iPhone is getting some love with new features. 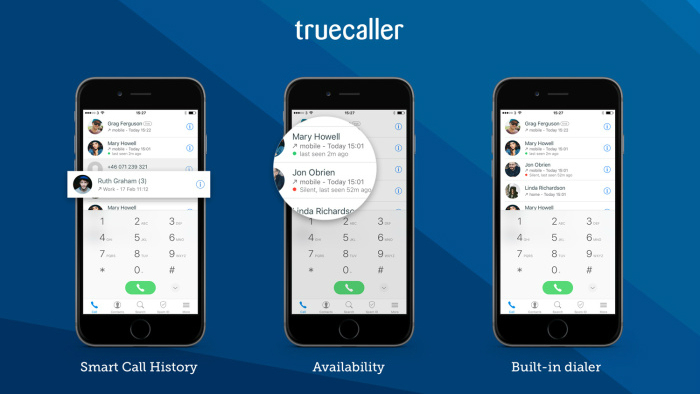 Truecaller is adding new features like Smart Call History, Availability and Built-in Dialer to its iPhone app. Android users already enjoy these features but they are new to iPhone users. Besides these features, Truecaller is also working on a new functionality called Callkit which will allow the app to work much more seamlessly with iPhone after the launch of iOS 10. New design and app icon helps you use Truecaller to replace your dialer.